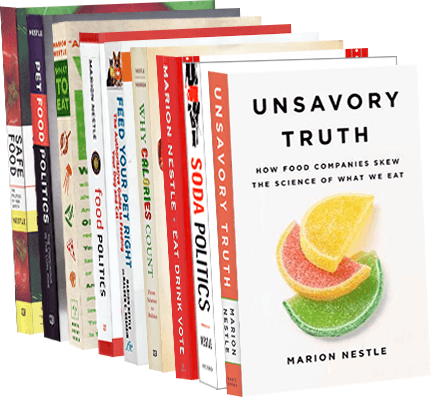 Food Politics by Marion Nestle » The dismal news about supplements. Why bother? The dismal news about supplements. Why bother? It’s not a good time for the makers of herbal and vitamin supplements. The better the research, the fewer benefits it shows. 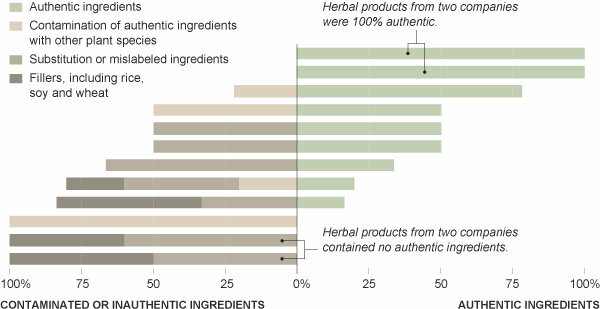 DNA testing is demonstrating what many of us have long suspected: herbal supplements are not necessarily what they say they are. I would feel sorry for supplement manufacturers, if they hadn’t brought this on themselves. First, they lobbied to get Congress to pass the Dietary Supplement Health and Education Act of 1994 (DSHEA). This lets them advertise the benefits of supplements without much in the way of scientific substantiation. It also excused the FDA from doing much regulation. But DSHEA also required research. Oops. Although the point of asking for research was to demonstrate the benefits of supplements, things haven’t worked out that way. Most of the research shows no benefit and, sometimes, harm. And investigations like this one show what many have long suspected. Without federal oversight, some supplement manufacturers will do whatever they can get away with. Fortunately, rice substituted for St. John’s Wort is harmless and hardly matters, since St. John’s Wort doesn’t seem to do much anyway. The latest review of the benefits—or lack thereof—of vitamin supplements for prevention of heart disease or cancer comes to cautious conclusions. Limited evidence supports any benefit from vitamin and mineral supplementation for the prevention of cancer or CVD. Two trials found a small, borderline-significant benefit from multivitamin supplements on cancer in men only and no effect on CVD. Multivitamin supplements should not be expected, without the combination of a healthy lifestyle, to prevent chronic disease. Dietary supplements are used by more than 150 million Americans on a daily basis. Research has shown that when taken in combination with other healthy lifestyle practices, such as consuming a wholesome diet and exercising regularly, people can benefit from dietary supplements. Translation: if you consume a wholesome diet and exercise regularly, you really don’t need supplements. And if you are not doing those things, supplements won’t do any good. As for the 150 million Americans who take supplements: the ones I know tell me that they don’t care what the science says; they feel better when they take the pills. Let’s hear it for placebo effects!